Victoria returns to school as her father returns home after a family crisis. Victoria’s relationship has granted her stability for 5 years, but her boyfriend is now getting demanding. She gets a new job, where she meets Jason, an inmate who is a friend of her boss’s. Victoria will get close to this inmate and start questioning herself about her own freedom and limits. Victoria regresa a la escuela cuando su padre vuelve a casa después de una crisis familiar. La relación de Victoria con su novio le ha dado estabilidad durante 5 años, pero ahora su novio es más exigente. Ella consigue un nuevo trabajo, en donde conoce a Jason, un preso que es un amigo de su jefe. La relación de Victoria con este preso, la llevará a cuestionarse acerca de su propia libertad y límites. Esteban Ramirez is a film director from Costa Rica. His first feature film Caribe was acclaimed internationally and was Costa Rica’s nomination for the Academy Awards. His second film, Gestación, was also another succes as it was the first Centro American film bought by HBO North America. 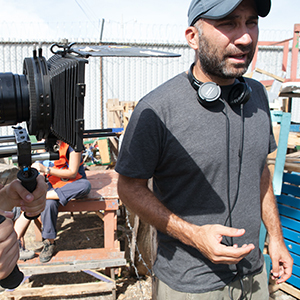 Presos is his latest feature film and was also Costa Rica’s nomination for the last edition of the Academy Awards.